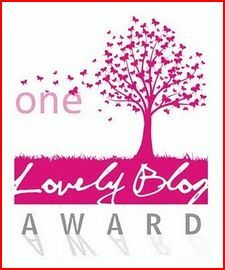 I’m delighted to have been nominated for another award by fellow blogger Nathan Payne! Nathan runs The Writer’s Codex, a site following his journey through the writing process. I enjoy Nathan’s blog because he manages to share his real feelings on the writing process (gut wrenching and all! ), while also posting some helpful and thought-provoking info on the field. In addition, he posts impressively often (go Nathan go!). 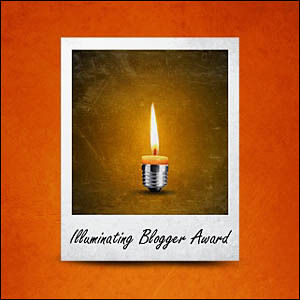 Nathan has been following my blog for a few weeks now, so I am flattered that he thought of me for the Liebster Blog Award. Thanks, Nathan! Pursuant to the Liebster Blog Award rules, Nathan has provided eleven questions designed to “get to know me” outside of my blog. After I answer Nathan’s incredibly challenging questions (he even stressed he wanted his recipients to think hard—geez, Nathan! 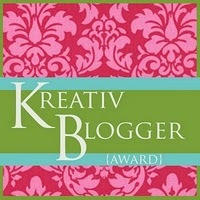 :)), I will be providing my eleven nominees with eleven new questions to answer. A little over two years ago, I found my way back to writing. In the summer of 2011, I decided I was serious about doing what I’d said I wanted to do my entire life—be a writer. I set to work on a plan of action, booking a conference, writing regularly, and even getting an English credential (both because I wanted a change, and because I wanted my job to more closely align with my love of writing). Then in March, it was time to launch my website and blog. I was ready to share my writing journey with the world and to finally live my fantasy. 2. What is one life event/decision that you didn’t expect, but made your life what it is today? I would say the terrible torn wrist cartilage of 2009. If I didn’t hurt my wrist, I wouldn’t have had some serious time to ponder my aerial antics (find out more here). That pondering led me to the reality check that I really wanted to write, and though I still practice for fun, massacring my wrists while performing would have destroyed any hope of writing. That was something I simply couldn’t do! 3. Do you have any regrets in life? If so, are you doing anything to resolve them? 4. What specific tasks are you doing to achieve your goals right now? My goals are to write often and more, and to work on getting published. To do this, I have been getting up extra early (hello, 5 a.m. alarm clock chime!) and putting in about 45 minutes every morning before I leave for work. I try to get more in at night, and have restructured my evenings a bit to make it happen. I’m also aiming to hone in on the plan to write and submit a short story every week—I haven’t gotten there quite yet, but I’m working on it! 5. What one thing do you wish people would remember you for after you’re gone? My optimism and loyalty. I would do anything for most of my friends and I try to be everybody’s cheerleader! Finding the silver lining is extremely important to me, even if it takes some real searching. 6. What do you enjoy most in life? Most? (Seriously, Nathan?) I enjoy life the most. Everything about it! 7. If you could make one decision that would change your life forever, what would that decision be? To become a full-time writer. I’m not even close to there yet, but hey, a girl can dream. 8. What is it about books that draws you them? The fantastic stories inside. The smell of paper. The black print on white (or cream or beige or tan) background. The way they look stacked up on my coffee table. 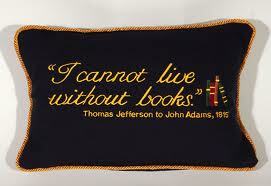 But mostly, just the words and the stories contained within. 9. Describe your favorite movie in terms of what makes you love it so much. My favorite movie has been Dangerous Beauty for about ten years. The movie is a biographical drama/romance starring Catherine McCormack and Rufus Sewell, directed by Marshall Herskovitz. It follows the life of an Italian courtesan who falls in love, and I’ve adored the movie since I first saw it. (I own it too, though one of my friends has it now and I don’t know which one. Grr!) The movie is filled with exquisite costumes and set pieces, and of course the sensual nature of the story is smashing too. Honestly, I’ve always liked movies about courtesans, and I’m not sure why. It’s a bizarre and lovely profession, all at the same time. Catherine McCormack is sensational in this role—if you haven’t seen it, I recommend it. 10. Think of a loved one, what one question do you want to ask that person? Can you live forever, please? 11. What would it take for you to make friends with an old enemy? I have made friends with many old enemies, some who were worthy, and some who sadly proved again that they were not. It depends on the circumstances, I suppose, but mostly it’s showing that he/she has a good heart. Jessica Vealitzek from True Stories – My favorite blog subscription! 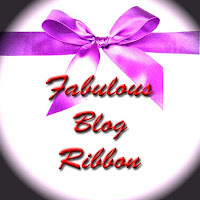 Realistic, heart-wrenching, fun, and definitely a great blog to read. Rebecca Lane Beittel at Rebecca of Tomorrow – Her site is a mix of writing insight and maternal joys. Rebecca’s posts make me smile. Anna Meade at Yearning for Wonderland – Whimsical and demonstrating a real gift with flash fiction, Anna’s posts make me think of fairies and butterflies. Unless she’s posting about her new Zombie Apocalypse fitness program, in which case I’m thinking of zombies and running. Regina Swint at Write on Time – I met Regina on SheWrites and have considered her a mentor ever since. She’s thoughtful and kind, and you can hear these traits in every one of her blog posts. Marylin Warner at Things I Want to Tell My Mother – I’m a new follower to this blog, but the concept is beautiful. Marylin focuses on the effects of Alzheimer’s on her mother’s memories and writes a journal to her mother in her honor. It is incredibly striking, and a real emotional journey that moves me through every post. Catrina Barton at Kitty’s Inner Thoughts – She’s fun. She’s peppy. She has intel. Check her out. Daniel Swensen at Surly Muse – Daniel is a whippersnapper, and he can write, too. I enjoy his posts tremendously. Angie Richmond at Write Me Happy – Angie has a good spirit and a warm blog. I like it here. Angela Goff at Anonymous Legacy – I’ve been following Angela for a while on Twitter, but she posts some lovely fiction pieces on her blog. I’m sorry I didn’t start following her blog sooner than I did! YES, I was supposed to choose eleven, but here are ten. 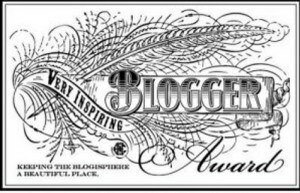 Ten wonderful bloggers that I think truly deserve it and whose work I admire and enjoy! Be sure to check them all out. And once again, thank you to Nathan for the nomination!